Here's another YouTube video for you to watch if you'd like. - Splash Watercolour Backgrounds by Loll Thompson (2:25) --- Easy technique! 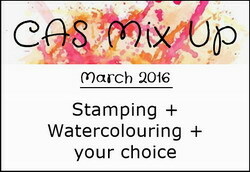 Both Loll's and Bonnie's sample cards use Loll's Splash Watercolour background technique. 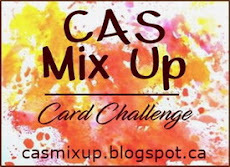 Welcome to the first challenge at CAS Mix Up. We are so excited to be hosting this challenge! 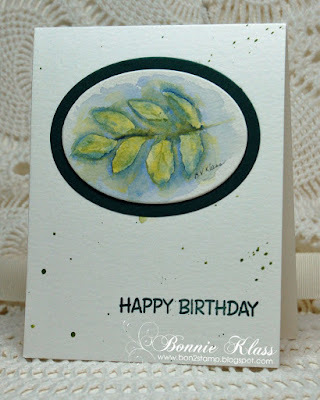 This challenge is about using mixed media on our cards yet keeping them CAS (Clean and Simple). We'll give you a challenge each month using stamping and one mixed media technique or product. You choose one more mixed media element (or more if you'd like). Just remember to keep your cards CAS. This month we want to see some watercoloring on your cards. 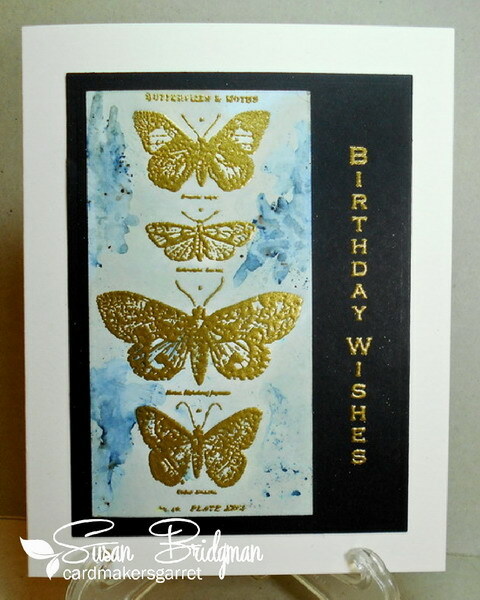 Make sure to include some stamping (a little or a lot), watercoloring, and then pick something from the "Your Choice" list in the right sidebar to add in. 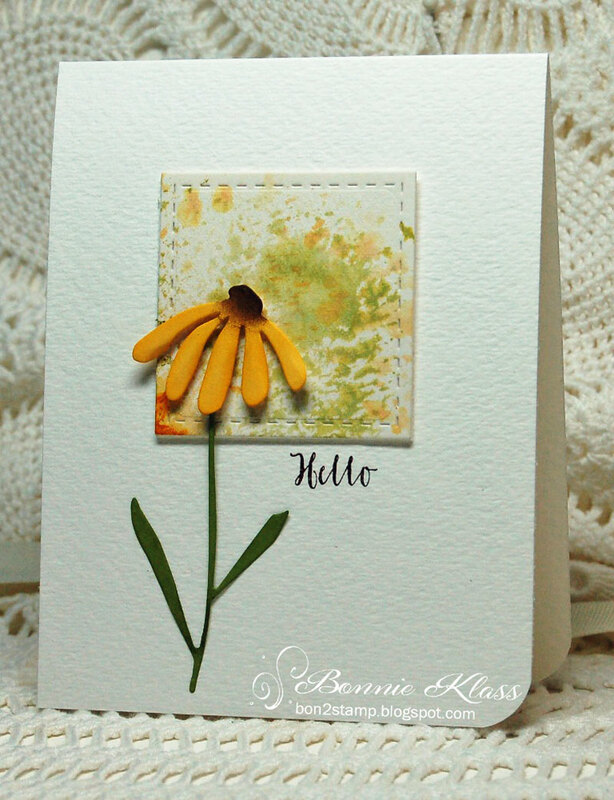 Along with our sample cards, we are happy to welcome Susan Bridgman (Cardmaker's Garret) as our Featured Designer. 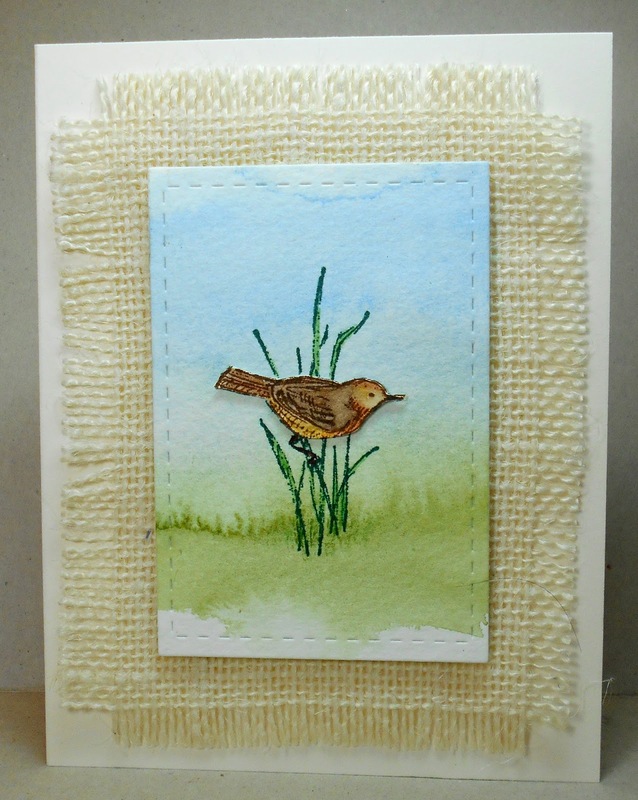 Susan is an amazing artist and loves to use mixed media. We hope you'll visit her blog and see how she created her beautiful card. And here's our sample cards. Using Stamping, Watercolouring, Die Cut and Burlap. 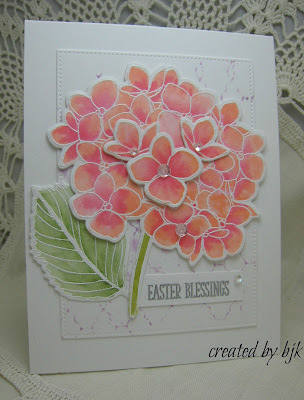 Using Stamping, (Negative) Watercoloring, Die Cutting and Splatter. 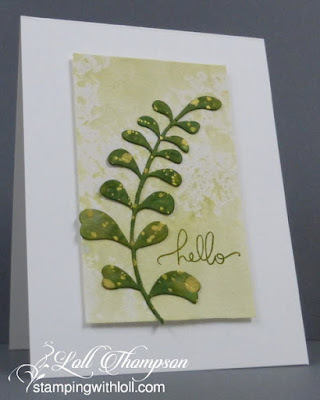 Using Stamping, Acetate Smooshing (Watercolouring), and Die-Cuts with Shaping. - Watercolour Wash by Bob Davies (5:14) --- Lots of great tips in this video! 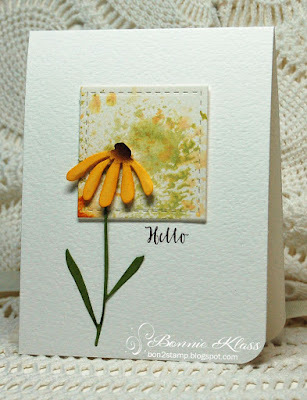 See Susan's sample card of her watercolour wash.
- Negative Painting by Mark Mitchell (5:50) --- More great tips! Outline stamp may be used instead of freehand drawing. 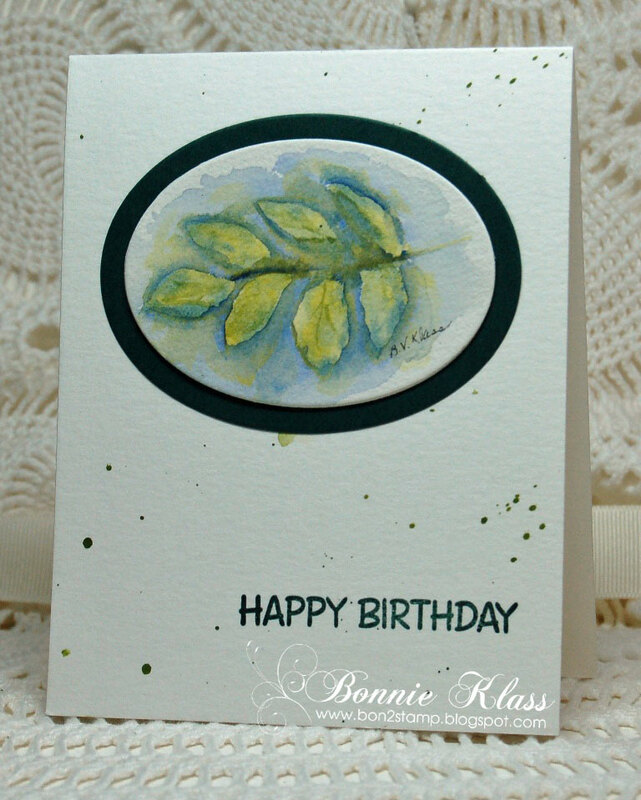 See Bonnie's sample card of her negative painting. - Acetate Smooshing by Laura Bassen (5:59) Easy and fun technique! 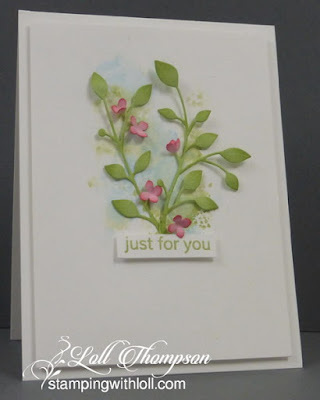 --- See Loll's sample card of her acetate smooshing. The challenge is open until March 24th, so there's lots of time to play along. Come join in the fun! Grab your watercolors and let's play.